Mark your Calendars! 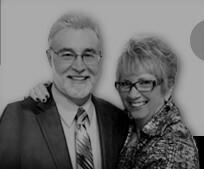 Join us April 14th through April 17th for the ministry of Kirk and Janelle Wade! Hear what The Lord has for us as Kirk ministers through great Southern Gospel music and as Janelle ministers to us as The Lord gives her the words! Continue to pray for Kirk and Janelle for God’s blessings and favor as they follow God’s path he has laid before them! They are vessels for God’s Love to flow and bring more souls to Christ! Click their picture to view their web site! We are a non-denominational church located at 107 Harriston Road in Grottoes, Virginia that loves the Lord and strives to live and love according to His Word! Check out the News & Events page! Come worship the Lord and learn about His Glory with us!